Italian CNC specialist Ottodicuori goes Touring! 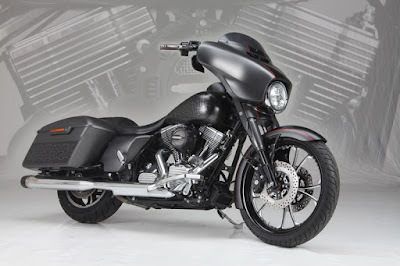 One of SIX extraordinary Design-bikes to introduce the stylish OTTODICUORI Harley-Davidson parts, the „Street Glide“ is the „touring Parts Showcase of Itaian top design parts manufacturer OTTODICUORI, who are in the CNC motorcycle parts business for more than a decade. 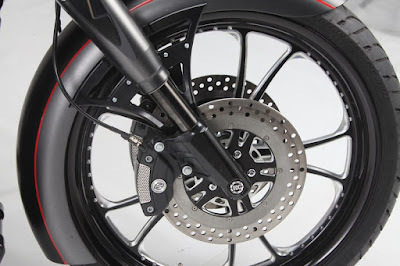 Italian Bagger Style: ODC promotion Tourer with Upside-Down fork. 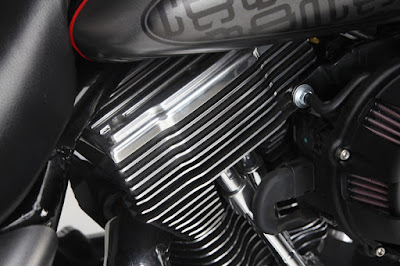 When it comes to motorcycle design, almost nothing can beat the Italian Designers and manufacturers. This can be stated for their own motorcycle brands, of which there are many, as well as the motorcycle brands that the riders south of the Alps are enthusiastic for. 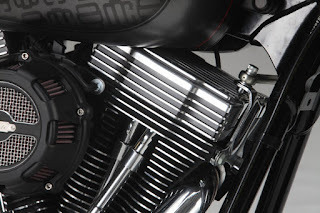 Harley-Davidson is one o those foreign brands that have fired Italian creativity in many different ways – and the team of OttodiCuori has taken on the challenge to compete in a huge market, that has spread as a worldwide phenomenon. Based in Vanzaghello, west of Milan, in the industrial „heartland“ of Italy, CNC specialist Ottodicuori surprised the 2016 MOTOR BIKE EXPO crowd at Verona with a full fleet of customs, presenting no less than six ODC-equipped Harley-Davidson’s of the latest model year, introducing quite a number of very interesting parts that change both the look and the riding performance of the bikes. The 2015 FLHX „Street Glide“ is one of the six – and it is the only „Touring“ model of the fleet. When under construction, the FLHX also served as „testbed“ for different wheel sizes to test the ODC Upside-Down forks for extreme Baggers. While ODC‘s own Street Glide retains a rather moderate 23 Inch front wheel, the forks can be ordered for wheels of up to 30 Inch diameter and have already been used in several Fred Kodlin Extreme-Baggers in 2016. Stock brake calipers can be retained through the adaption with brackets. The fender mounting also is quite stylish as the fender has to move with the lower portion of the fork. 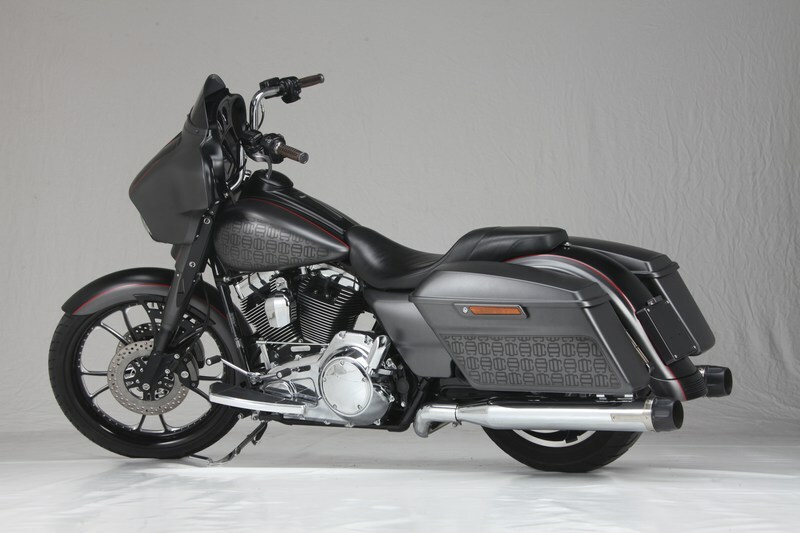 of this bike, ranging from indicators, controls, floorboards, numberplates to cam and clutch covers. Standing out prominently are the very stylish cylinder head covers, which certainly can change the look of any given Twin Cam motor and can be used for quite a number of different styles. In times of sometimes excessive branding, ODC has choosen not to print their name onto every corner of the product, thus giving the „design“ the priority over „promotion“. A welcome factor when customizing individual rides – as so often in Italy, the design speaks for itself. And works for itself too! Not visible are the rear shocks, which have been developed for Touring applications. 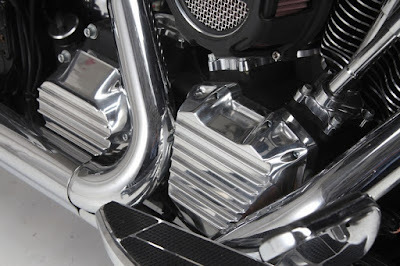 The billet floor boards offer elegant look in combination with a clever shape: If you ever have ridden a stock Victory Tourer, you may have realised that on such shaped floorboards, the boots can be placed in many ways, making the ride so much more comfortable. Ergonomic levers and comfortable grips add to the feeling. 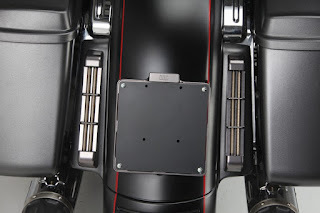 Quite futuristic are the taillight/indicator-assemblys that fill the gap between stock bags and fender. The housing is CNC-machined aluminum, anodized in black. Functioning as turn signal, tail- and brakelights, they substitute for the stock parts and can also be complimented by ODC license plate bracket. 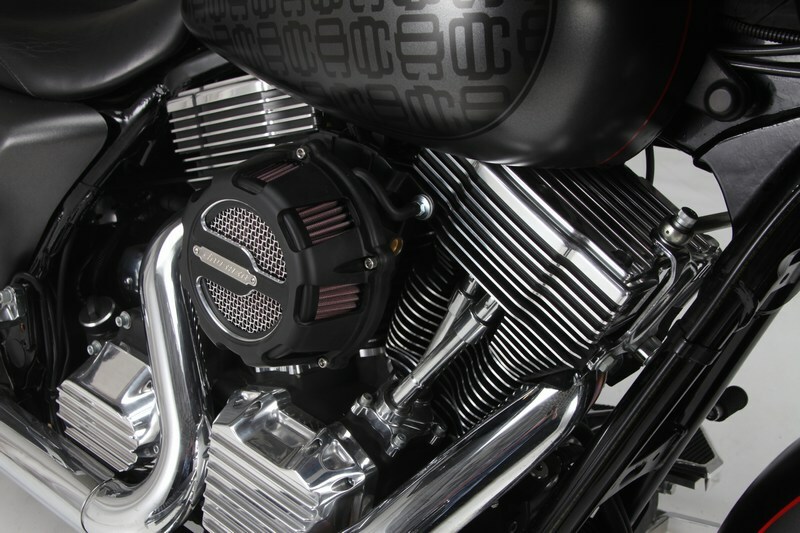 ODC Touring parts offer new options that are high tech and advanced in style. Superb Italian design and outstanding riding performance come together in the stylish Bagger components of Italian CNC-Specialist OTTODICUORI (ODC). Introduced for the 2015/16 customizing season, the Upside-Down forks have already been used by a number of top customizers, including Germany‘s Master-Customizer Fred Kodlin, who has equipped several of his high-end Big Wheel Custom-Baggers of up to 30 Inch wheel diameter with the ODC Upside-Down front ends. 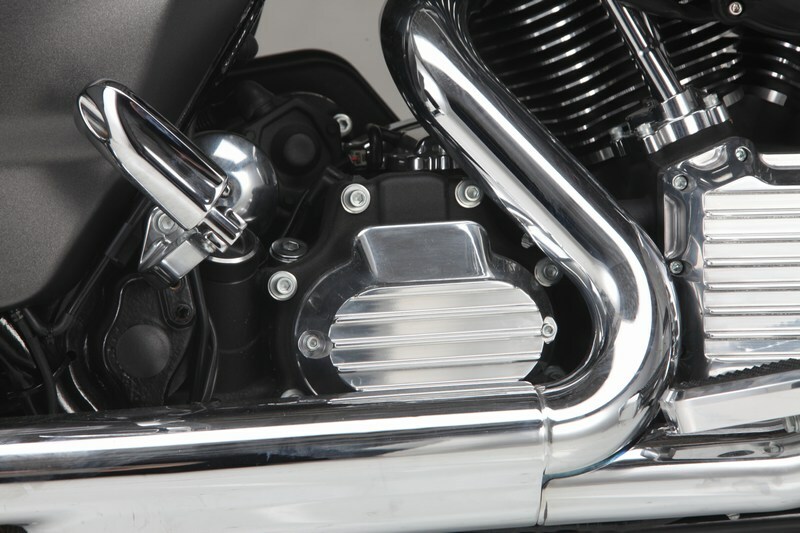 Developed for the Touring Models of Harley-Davidson are the LED equipped Turn Signal/Tail/Brakelights that mount to the rear fender of all 2014-up touring models. Housings are aluminum and anodized in black. Fitting the taillight assembly is the lightweight license plate bracket. 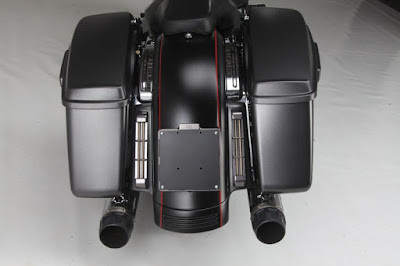 Especially for the Street Gilde „Rushmoore“ Batwing fairing, ODC designed special mount mirrors that can be raked and moved with the added front wheel size, thus allowing to retain the clean look of the mirrors inside the fairing. 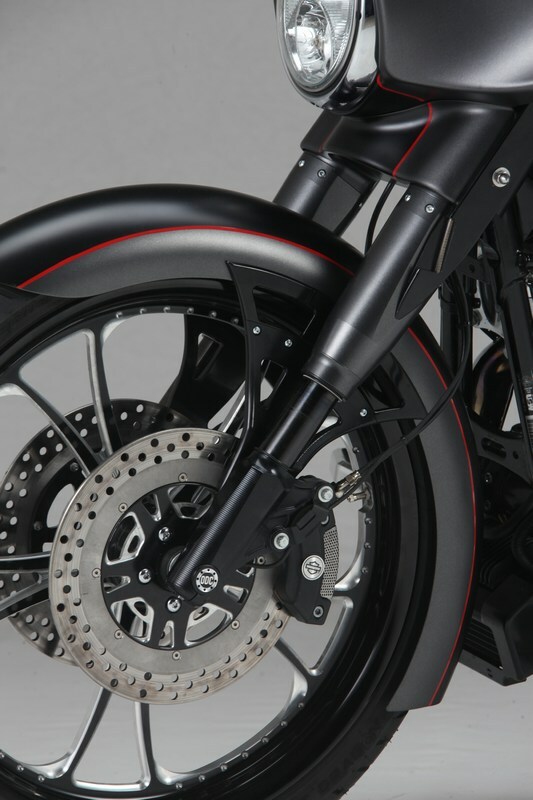 Grips and levers are available from ODC in a number of varying designs and all Harley-Davidson model lines, the Billet floorboards – optional in black or chrome finish – are available for Touring and Softail models. Their shape and the rubber mounting is designed for maximum long distance comfort! The www.ottodicuori.it website lists all options for ODC Touring fork front and rear suspention, as well as numerous interesting Billet-Designparts available from ODC. International distribution will also be performed by Custom Chrome Europe, who are currently integrating the parts into the 2017 catalogue, but do have the parts available in the online catalogue. Italienisches Design und außergewöhnliche Fahreigenschaften verbinden sich in den Touring & Bagger Accessoires der italienischen CNC-Spezialisten OTTODICUORI (ODC) aus Vanzaghello bei Mailand. Vorgestellt für die Customizing Saison 2015/16, wurden die exzellent gefertigten Gabeln, erhältlich für Radgrößen bis 30 Zoll, bereits von einer Reihe Top-Customizer, inklusive Master-Customizer Fred Kodlin, verwendet der bereits mehrere Extrem-Custom-Baggers mit ODC Upside-Down Gabeln auf große Räder gestellt hat! Damit fängt das ODC Programm aber erst an; Entwickelt für die Touring Modelle von Harley-Davidson bietet ODC zahlreiche Komonenten, die sich vor allem durch einfache Montage und herausragendes Design auszeichnen. Die LED befeuerten Blinker/Rück- und Bremslicht-Kombinationen sind mit zwei Befstigungspunkten am Fender zu montieren und passen an alle Touren-Modelle ab 2014. Die Aluminiumgehäuse sind scharz eloxiert. Dazu passend gibt es einen leichtgewichtigen Nummernschild-Halter. Für die Street Gilde „Rushmoore“ Batwing Verkleidungen entwickelte ODC eine spezielle Rückspiegel-Montag, die den Designspiegeln ihren Platz innerhalb der Verkleidung sichert. Größere Raddurchmesser können durch den Verstellwinkel kompensiert werden. Griffe und Handhebel gibt es von ODC in zahlreichen Designvarianten und für alle Harley-Davidson Baureihen, die Billet Trittbretter – optional in schwarz oder Chromfinish – gibt es für Touring- und Softail-Modelle. Außergewöhnlich in Form und Gummilagerung sind sie insbesondere für Langstrecken-Fahrkomfort ausgelegt. Die hauseigene www.ottodicuori.it Website listet alle Bestelloptionen für Gabel und Hinterradfederung – und bietet zudem noch zahlreiche außergewöhnliche Billet-Designparts, mit denen ODC sein Harley-Programm kontinuierlich ausbaut. Der internationale Vertrieb geschieht über Custom Chrome Europe, wo Neuteile sofort im Online Shop verfügbar sind. Studio shootings of 3 bikes – Dyna, 750 Street and „Bagger“ Street Glide – took place at the MOTOR BIKE EXPO SHOW VERONA in January 2016.